I was introduced to these guys by a good friend last year. Their self titled album is outstanding and 'Don't Forget Sister' is the lead track taken from it. If you like this track you will surely be a big fan of the entire album as it does not let up. Low vs Diamond is, in every sense of the word, an American band - with all of the members hailing from backgrounds as diverse as their hometown cities themselves… Seattle, San Francisco, Atlantic City, and Chicago. This melting pot of musicians was established a few short years ago when they formed Low vs Diamond. Howie agrees, “Looking back would be a waste of time. I’m more interested in driving this band forward.” He does so with his volatile drumming that holds it’s own in power, as well as style. While never concealing their nods to current bands ranging from U2, in scope, to the Strokes, in grit… Low vs Diamond are clearly possessed by those that passed before them. It’s these roots that define the essence of what separates this band from the rest. 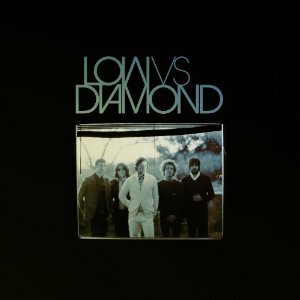 Low vs Diamond achieve something uniquely intimate with their attention paid to songwriting. Real songwriting. You hear the complex song styling of Serge Gainsbourg, Burt Bacharach, and even Broadway. Real songs with real stories. Lyrically, Lucas weaves in themes dealing with family (such as “Actions Are Actions” and “Don’t Forget Sister”,) and stories about saying farewell to love (“Heart Attack” and “Wasted”). Each track on their self titled debut album is as lucid and cinematic in scope.